1- 7th Level Wushu Master . (Awarded by World Organization of Wushu & Kung Fu Masters), 2012. 2- Professional Level in Wushu. (Awarded by Wushu Culture Resource), 2013. 1-Start learning Wushu in 1989. 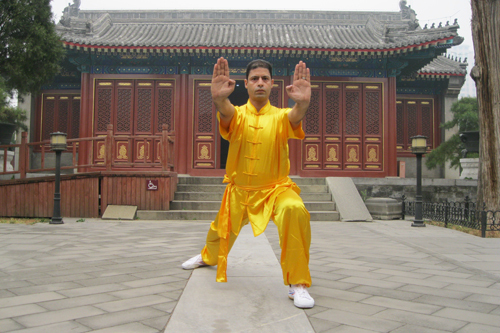 2-Start teaching Wushu in 2000. 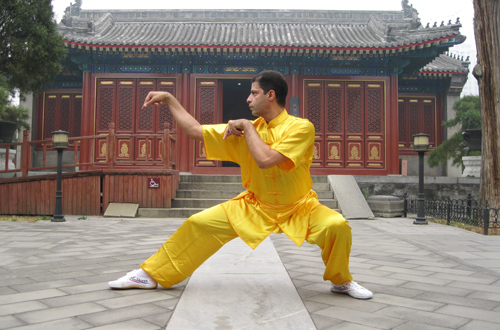 Wushu Styles: Shaolinquan, Yongchunquan, and Taijiquan. 1-Member of Hong Kong Wushu Union. 2-Member of Shaolin Wushu Association..
3- Member of Ving Tsun Athletic Association. 4-Member of World Wing Chun Union. 5-Member of The USA Wushu Kung Fu Federation. 1- 2nd place (Silver Medal) in International Traditional Wushu Championchip, Hong Kong, 2013. 2-Master of The Year Award in Chinese Wushu, June, 2013. ( Awarded by Italian Chin Woo Athletic Association). Taiji Quan, from 10th Oct, 2011 To 4th November,2011. Wushu, From 15th Sep, 2010 To 13th Oct, 2010. 1-Wushu- Tiger and Crane Fist, 2012. 2-Wushu- The Art of Southern Fist, 2011. 3-Wushu- The Art of Free Fighting, 2008. 4-Wushu- The Art of Chinese Boxing, 2006.